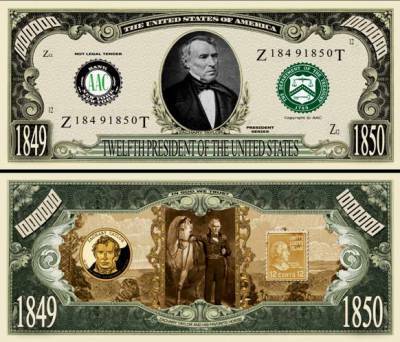 Zachary Taylor was the 12th President of the United States, serving from March 1849 until his death in July 1850. Before his presidency, Taylor was a career officer in the United States Army, rising to the rank of major general. 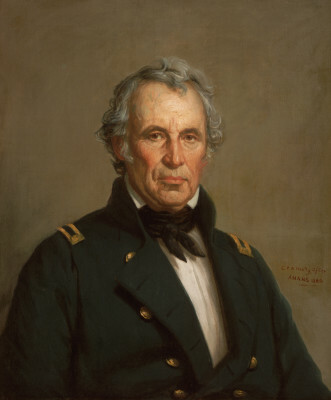 Zachary Taylor (1784-1850) served in the army for some four decades, commanding troops in the War of 1812, the Black Hawk War (1832) and the second of the Seminole Wars (1835-1842). He became a full-fledged war hero through his service in the Mexican War, which broke out in 1846 after the U.S. annexation of Texas. Elected president in 1848, Taylor entered the White House at a time when the issue of slavery and its extension into the new western territories (including Texas) had caused a major rift between the North and South. Though a slaveholder, Taylor sought to hold the nation together–a goal he was ready to accomplish by force if necessary–and he clashed with Congress over his desire to admit California to the Union as a free state. In early July 1850, Taylor suddenly fell ill and died; his successor, Millard Fillmore, would prove more sympathetic to the interests of southern slaveholders. 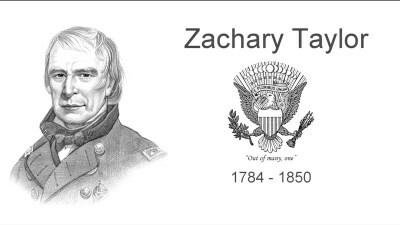 Zachary Taylor was born on November 24, 1784, in Orange County, Virginia. The descendant of a long line of prominent Virginia planters, he was raised on a tobacco plantation outside Louisville, Kentucky, where his parents moved around the time of his birth. He received only a rudimentary education but was well schooled in the frontier skills of farming, horsemanship and using a musket. In 1808, the young Taylor left home after obtaining a commission as a first lieutenant in the army. In 1810, he married Margaret Mackall Smith, and they went on to have six children. (Their second daughter, Sarah Knox Taylor, would marry Jefferson Davis, the future president of the Confederacy, in 1835; she died three months later.) Taylor made his home near Baton Rouge, Louisiana, on a 2,000-acre plantation with some 80 slaves. He owned a second plantation in Mississippi. 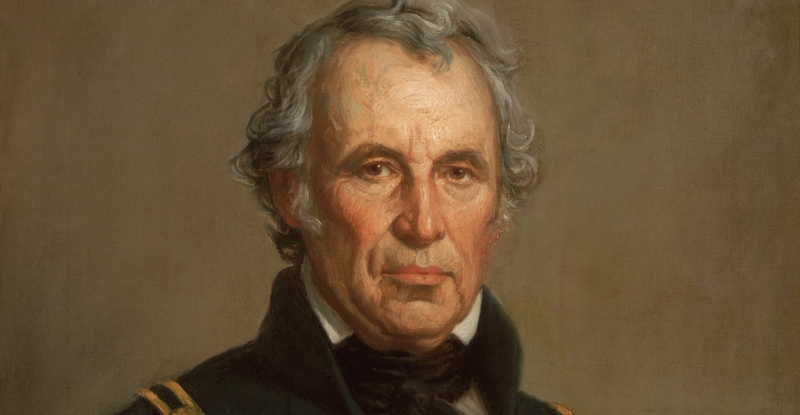 The central challenge facing Zachary Taylor as he took office in 1849 was the sectional debate over slavery and its expansion into the country’s new western territories. The emergence of the antislavery Free Soil Party had intensified southerners’ fears that the abolitionist North would gain control of Congress, and they saw slavery’s extension in the West as the only way of maintaining balance. Gold had been discovered in California in 1848, and there was tremendous pressure to resolve the issue of the territory’s statehood as its population expanded. Though a slaveholder himself, Taylor was primarily driven by a strong nationalism born of years in the army, and by 1848 had come to oppose the creation of new slave states. 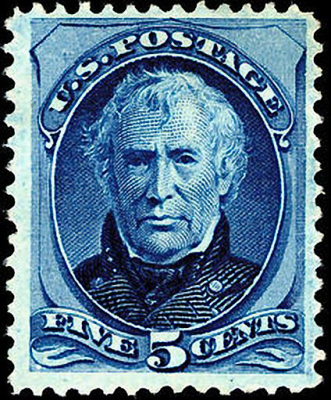 To end the dispute over slavery in the new territories, he wanted settlers in both California and New Mexico to draft constitutions and be admitted immediately into the Union, skipping the territorial phase. Slavery advocates were outraged, as neither state was likely to allow slavery, and many in Congress felt Taylor was taking away their legislative power. In February 1850, after some incensed Southern leaders threatened secession, Taylor angrily informed them that he would lead the army if it became necessary to enforce federal laws and preserve the Union. He became increasingly unwilling to appease southern slave owners and opposed a compromise bill proposed by Henry Clay that would combine California’s admission to the Union with the abolition of the slave trade in Washington, D.C. (supported by abolitionists), and a strong fugitive slave law (supported by southerners) while allowing New Mexico and Utah to be established as territories. Taylor’s brief time in the White House was also marred by a financial scandal involving several members of his administration, including Secretary of War George Crawford. On July 4, 1850, Zachary Taylor attended a ceremony at the unfinished Washington Monument; temperatures were blistering, and he reportedly ate only raw vegetables, cherries, and milk. He took ill with violent stomach cramps the following day and died on July 9 of acute gastroenteritis. (Conspiracy theorists later suggested that Taylor may have been poisoned, but his remains were exhumed in 1991, and this speculation was disproved.) Taylor became the second president to die while in office (after William Henry Harrison). In a boon for pro-slavery forces, the more moderate Millard Fillmore succeeded him.